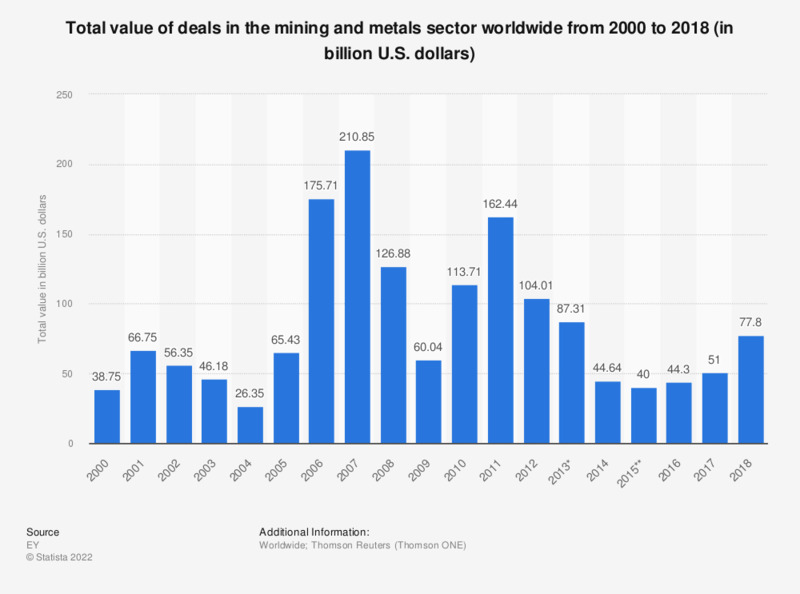 This statistic depicts the total value of the merger and acquisition deals in the mining and metals sector worldwide from 2000 to 2018. In 2018, merger and acquisition deals in the minerals and mining sector worldwide had a total value of some 77.8 billion U.S. dollars. Only completed deals are included. Deals identified as incomplete, pending, partly incomplete, unconditional or intended as of December 31, 2018 were excluded. * Excluding the merger between Glencore International and Xstrata (the “Glencore Xstrata merger”). ** Excluding the South 32 spin-off.